The big new app for 2012 just might be Google’s Apps Vault. Just released in the last days of Q1, this tool sits on top of Google Apps and simplify management of your firm’s documents. This tool will be enormously useful for keeping track of documents, managing space, archiving documents even enforcing your firm’s document retention policies. However, the main goal of the tool is to help small and medium-sized firms (the primary users of Google Apps) to manage the email portion of their ediscovery processes. In previous blogs I’ve talked about the cost of ediscovery, and the many mistakes that are made in the discovery process. Google’s new Vault product has the potential of making the ediscovery process much more error-proof, while dramatically reducing the time and cost for a review. The Vault may not yet be a tool for the largest firms, and at the moment it is limited to management of Gmail, but the release of this tool is likely to be a catalyst that will transform the world of ediscovery. In today’s blog we’re going to review the reasons why this tool will be important to your firm and steps you should take. Let’s dive right in! The Vault is an extension of Google Apps, that costs $50 per user for an annual subscription. The Vault holds all of your Gmail and instant messages, but does not yet manage other Google documents such as letters, memos, spreadsheets, calendars, etc. (although it would be difficult to imagine Google not expanding its service to cover these documents in future releases, perhaps for additional fees). Because it is a cloud based application, you have access from your office or home, laptop or smart phone, etc. That level of access, plus Google’s excellent record of uptime, is a pretty compelling reason to keep as much information in the Vault as possible. OK. What are the ediscovery benefits for your firm? Current vs. Future Vault: Today’s version of the Vault is restricted to Gmail and instant messages. However, it is inevitable that Google will rapidly add to their Vault product to support documents as well as email (although the most important emails inevitable end up as attachments in email). Not only is this an obvious adjacent market for expansion, but it would not make a lot of sense to have the advantage of Google’s Vault for half of an ediscovery project (email) but not for the other half. I don’t believe that this is due to technological limitations, but rather because there are so many more users of Gmail than other Google Apps. Either by creating private clouds inside of firms or by taking on corporate clients that want to leverage the cost advantages of cloud-based storage, the “other half” of ediscovery will rapidly move onto Google managed servers. 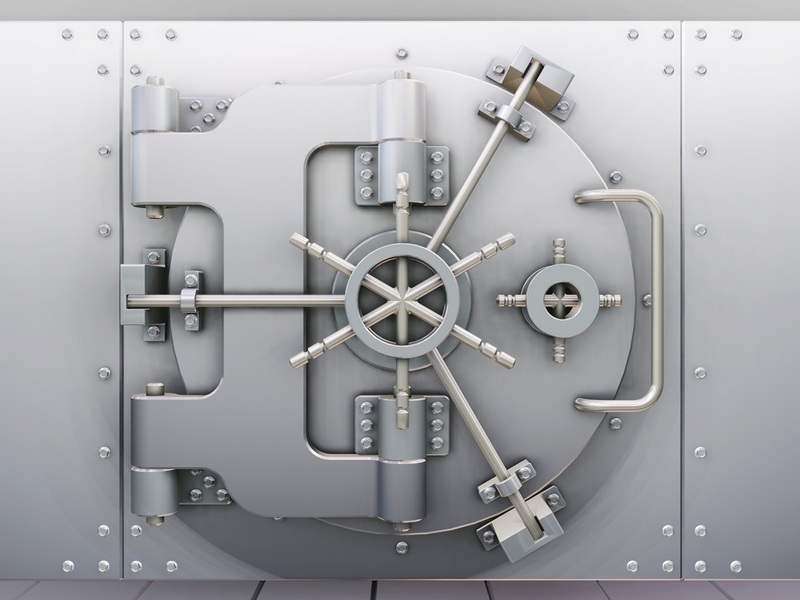 Sales Agreements: The Vault can enforce document policy. Consider the approval of a sales proposal. A sales representative may misunderstand a product, misstate the pricing, or duplicate conditions from a previous proposal that violate local laws in a new proposal. Most firms sign some proposals that were not properly approved. That runs the risk of lost revenue in executing the agreement, and a lawsuit later on if you cannot operate under this flawed agreement. It may be some time before the Vault controls the original document, but these agreements are usually transported via email within the firm and between firms. This provides many opportunities for tracking and setting rules. Drafts: When a client proposal, or a presentation is created many draft documents are created. Sometimes drafts are shared with clients, sometimes the team is confused over which version they are working on, and after a document is completed and delivered to the client old draft may still be in circulation. While some firms use document management systems, for the vast majority of sales staff email is their document repository. This is how groups collaborate to develop a document, and the email itself contains additional instructions and commentary. Document Cloud: In addition to proposals, agreements and contract, businesses are creating many more documents (especially emails) than they used to. What was once a phone call or in-person discussion has turned into emails, text messages, comments in your calendar, and other documentation that may become “discoverable” in a law suit. Tracking: Some details of how Google’s Vault works still needs to be released. However, we can expect that the product will develop any missing or underpowered features. Because Google has been building massive data storage facilities with hundreds of millions of CPU’s to process the work, the Vault offers the possibility of real-time analysis both during and before an ediscovery project. Because of the current cost structure of ediscovery, firms often wait until the last-minute to start an ediscovery project, to avoid incurring costs. Ironically, this creates most of the cost overruns later in the process when there are changes to the project or a project falls behind schedule. Identification: When the ediscovery process begins, forensics experts need to translate the orders of the court into a specific collection of documents. This requires time and attention of your IT department. The Vault claims to have powerful tools to identify specific emails and to report on them. It will take some time to understand the limits of Google’s Vault, but it undoubtedly provides a better set of tools than most firms use today. Spoliation: After the right files are identified, those files need to be copied and moved to a hosting site. This creates all sorts of opportunities for accidentally damaging or altering files, or losing track of the chain of custody as the files are moved (often manually, on a hard drive) to a publicly accessible site. With Google’s Vault, you can leave the data where it is (or at least in a new collection of data, within the Vault), eliminating any chance of a break in the chain of custody. Hosting: Google Apps is a Cloud based service. If data remain in the Vault, you only need to provide Google Apps and Vault ID’s to access the “document” collection. Skipping the whole process of finding files, removing duplicates, moving the resulting data to a new system, prepping these files for use by additional tools (with additional fees) could be eliminated or greatly reduced. Legal processes change slowly, but the more work that is performed before data is moved to an external hosting site, the faster that fees for these project will fall. Analysis: If Google’s tools are sufficiently robust, there is little reason to use other ediscovery tools. The subsequent reduction in fees is a HUGE financial incentive for users to make the maximum use of the Vault. It’s hard to imagine any other ediscovery service or software vendor that can match Google’s combination of financial, programming and processing resources. We can expect Google’s Vault to rapidly develop the tools and features necessary to dominate ediscovery. Everything else: While Google is labeling the Vault as an ediscovery tool, the same tools (or additional tools?) can be extended to solve a host of document issues. Version control of training documents, contract management, storage and access to corporate SOP’s, and so forth. It really doesn’t matter if these features are available today. As more individuals use the Vault, the feature set will become more robust and more functional. What about large firms? If you don’t use Google Apps and Gmail, isn’t the Vault irrelevant to your firm? Not really. Google is obviously a huge Cloud service provider. But Microsoft offers ediscovery services to the government, and is rumored to be working on newer products. AWS (Amazon Web Services) wants to be the premier Cloud based provider of hosting and data storage services. While AWS has not emphasized ediscovery, their service provides similar core capabilities; these capabilities need to be repacked and expanded as an ediscovery tool. In mid-April the 2012 AWS Summit in New York City will showcase their new products and services. Even though they are not head to head competitors (yet! ), Amazon keeps a very close eye on Google (and vice-versa). The Vault idea is too close to Amazon’s product line for them not to respond. Will we see that response in the 2012 Summit? Maybe! But you can bet that the audience is going to be asking questions. Every firm needs to deal with document management. Firms must decide which documents are kept, how long they are kept, where and how they are stored, and when documents are destroyed. Lawsuits often arise from mistakes made while developing proposals and contracts, or do to written communications. The number of these documents has grown dramatically as corporations have moved from paper based documents to electronic documents, yet most firms lack the tools and resources to control the documents in their firms. This leads to excessive risk and cost during an ediscovery project. The features of Google’s Apps Vault may solve our most basic document issues; if not today, then some time soon. Even if the Vault isn’t the right product for you, Google’s Vault is likely to set off a price and feature war that will benefit every user of ediscovery tools. At least that’s my Niccolls worth for today! This entry was posted in Common Sense Contracting, Decision Making, Delivering Services, Unique Ideas and tagged ediscovery, Improve, legal, outsource, Projects, Reporting, transform. Bookmark the permalink. 1 – why is Google Apps Vault linked to the MSFT eDiscovery product in the opening paragraph? Strange..just a mistake? 2 – Vault is not currently touching anything outside of Gmail. No Docs, Calendars, Sites or anything like that. I’m sure it’s on their roadmap but not currently available. If and when they do introduce this functionality, it will be a game-changer, I think. 3 – As a result, there is currently no ability to enforce Document Policy or any of your bullets sub to that point. I think you make a lot of good points, and I realize in many places you say “if the features aren’t there, they will come available” but just wanted to point out to readers that at least half of what’s mentioned in this article is not yet available in Vault. You are indeed right… the language was too loose, and the link was wrong… which could be misleading. Sometimes quality control does fail! But I took you comments to heart and made some adjustments to the original posting. This version is a bit of an improvement!